Step.1 : Reorient all customer measures segment wise. Step.3: Measure customer expectation changes – segment wise – as already mentioned in Step 1. Identify an average cycle time for key impacts. Step.5: Run Phase 1 for 6 to 12 months to first catch up with the existing customer expectations gaps. Step.6: Launch Customer Expectation Change forecast program during Phase 1 above. Develop a predictive model to Forecast CECs. Step.7: Stabilise Phase 1; Stabilise CEC Forecast model through testing. By now 9 to 12 months would have passed. Step.9: Launch, Measure, Control; Launch, Measure, Control; Launch, Measure, Control;…. both CEC cycle time and the forecast models would continuously change. 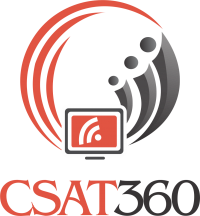 For queries or any further information, please write to content@csat360.com.